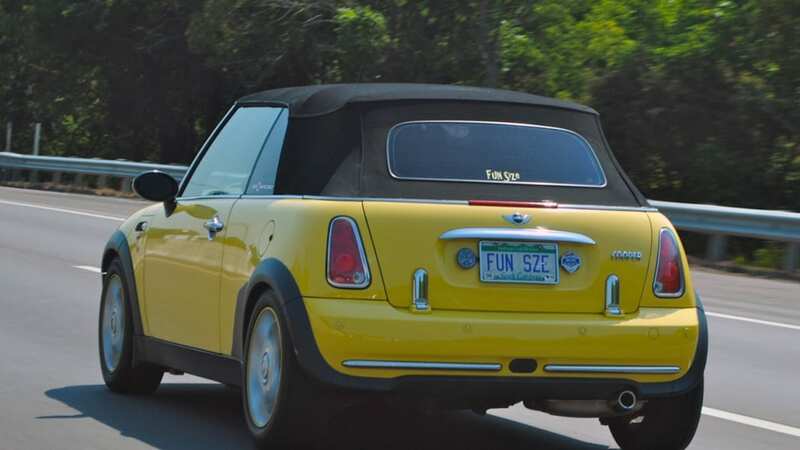 It's the unexpected surprises that make a road trip so enjoyable. 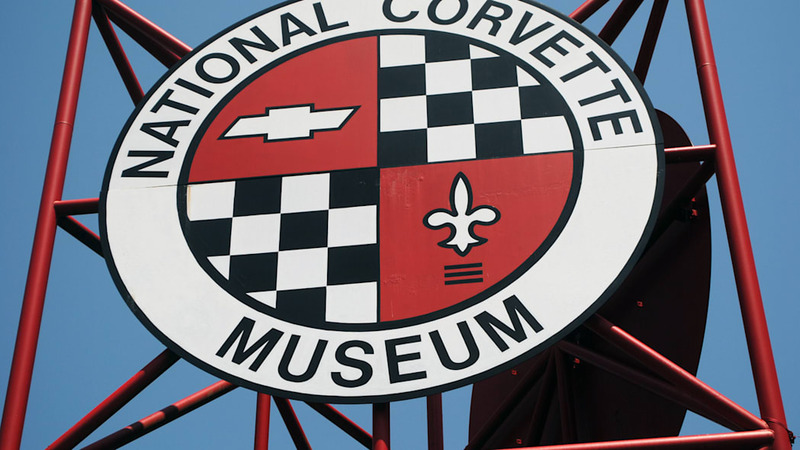 So as my colleague and I drove down Interstate 40 near Bowling Green, Kentucky, during our Mini Takes the States road rally, we passed one of those little brown signs that marks places of interest. 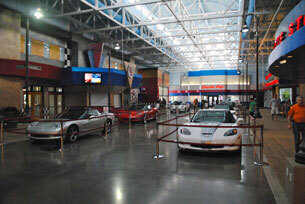 "National Corvette Museum 10 Miles" the sign read. 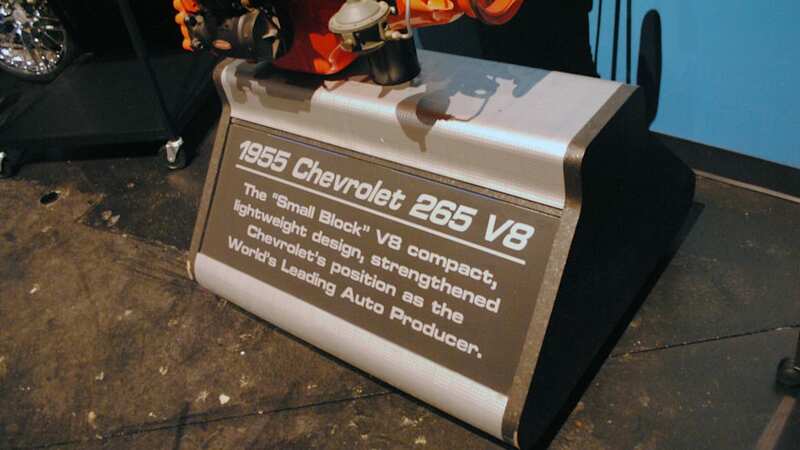 We had to stop. 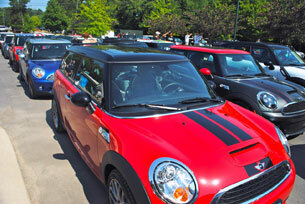 Really, Mini and Corvette seem to share a lot of similarities. 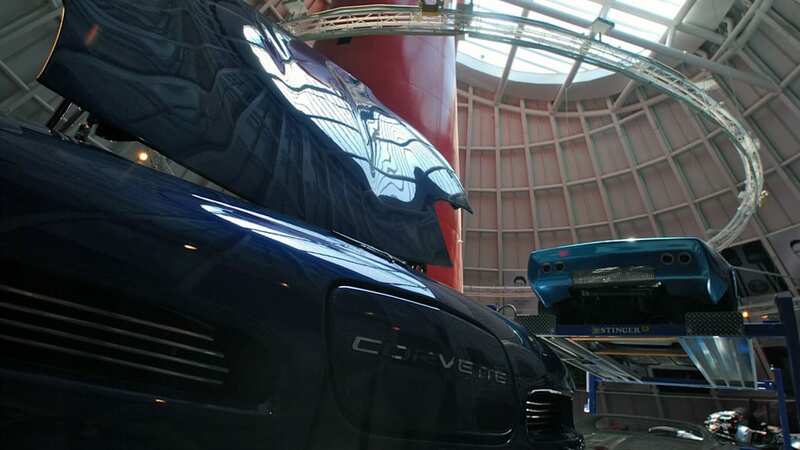 Both have a hyper fan base that loves all things Mini or all things Corvette. 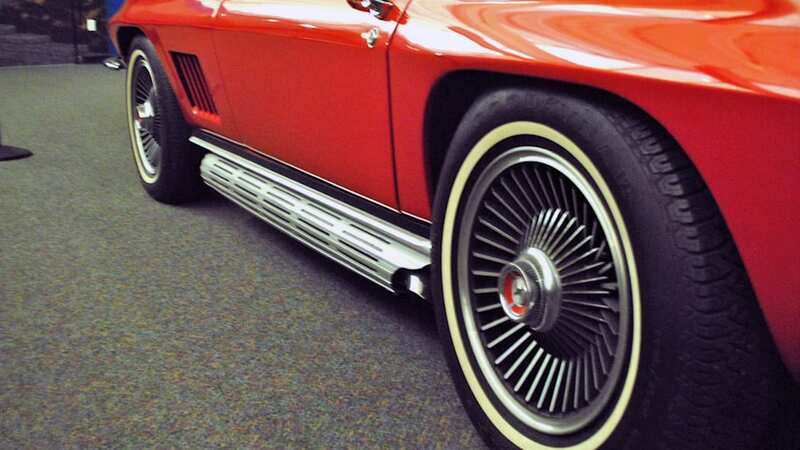 They both have active clubs and they seem equally appreciative of a nice set of wheels from their respective group. 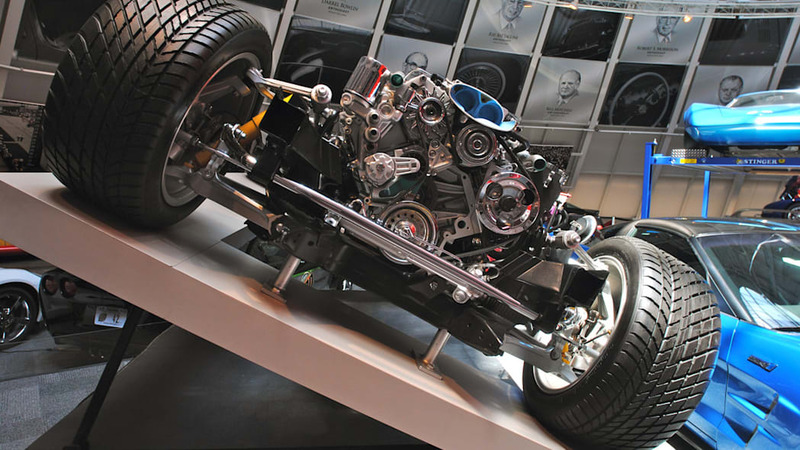 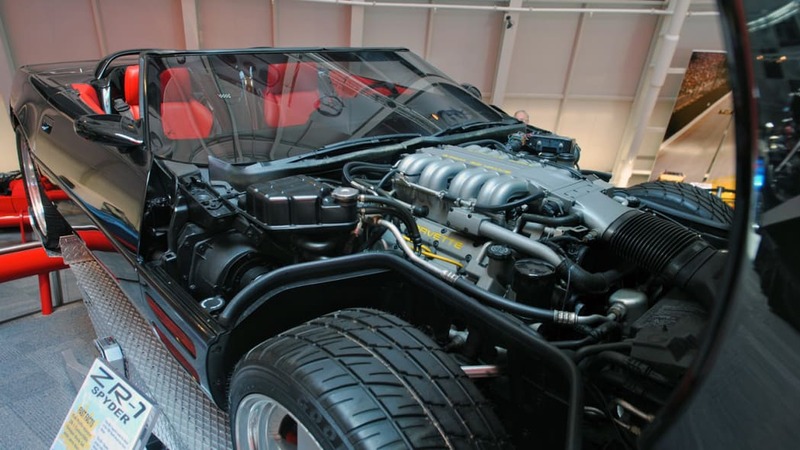 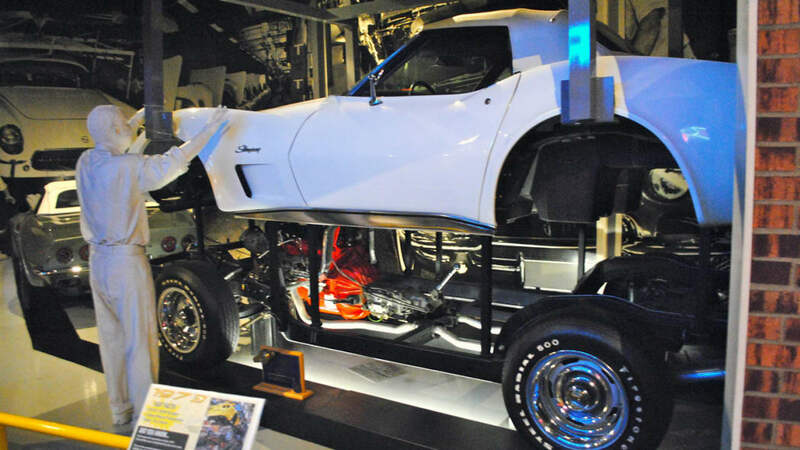 And both love to tinker, toy and create their ultimate personal car, loading them up with aftermarket accessories. 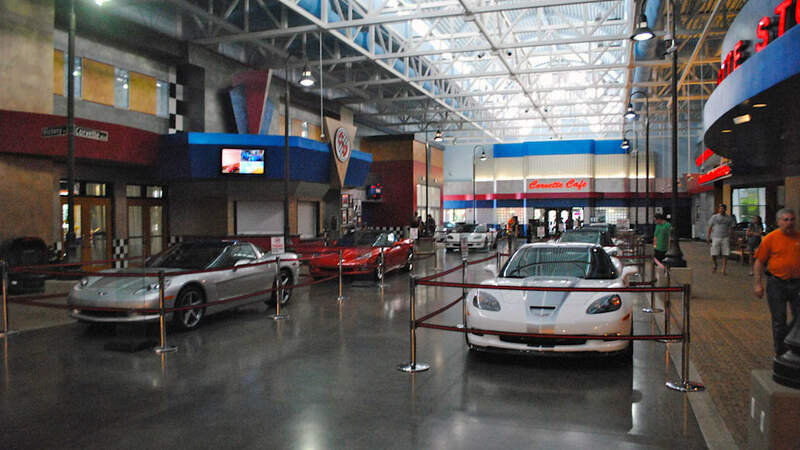 So why not take our Mini to the Corvette museum? 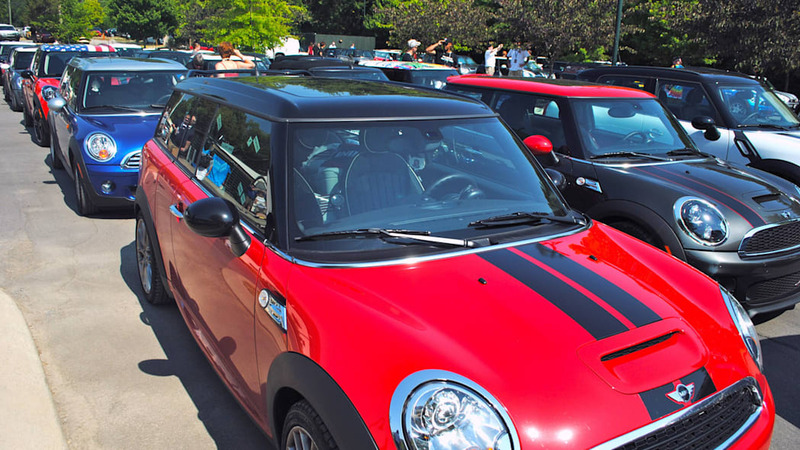 Judging by the parking lot, it appeared more than few other Mini owners were taking the time to check out all of that muscle and power parked inside a massive area with a red cone poking out the top of one of the buildings. 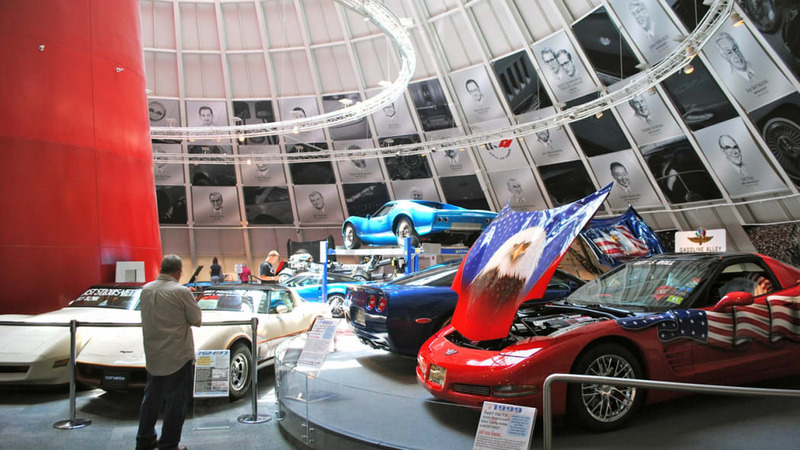 The museum was well worth the stop. 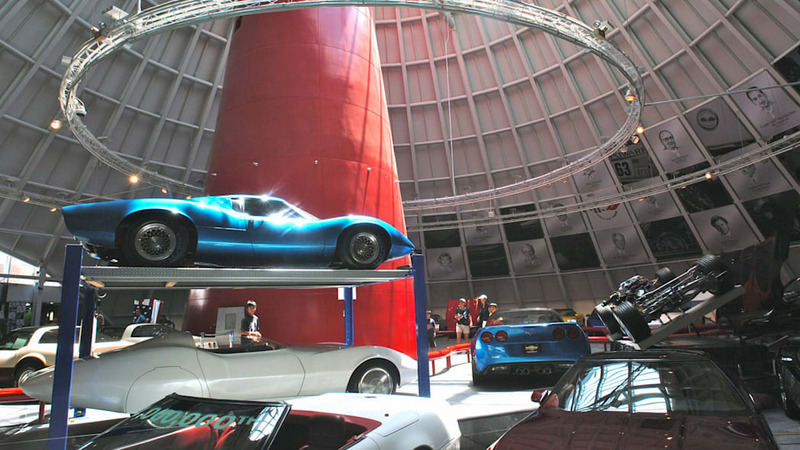 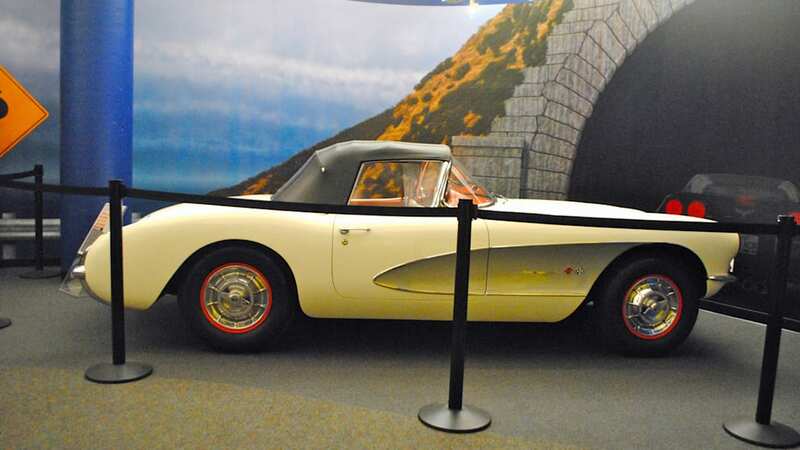 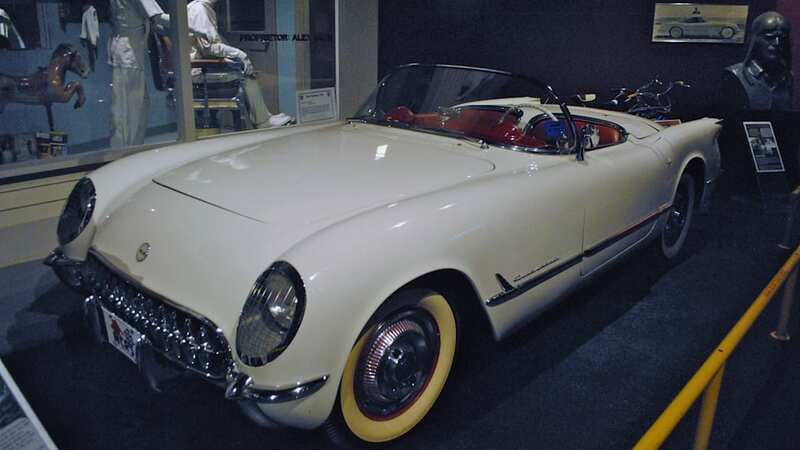 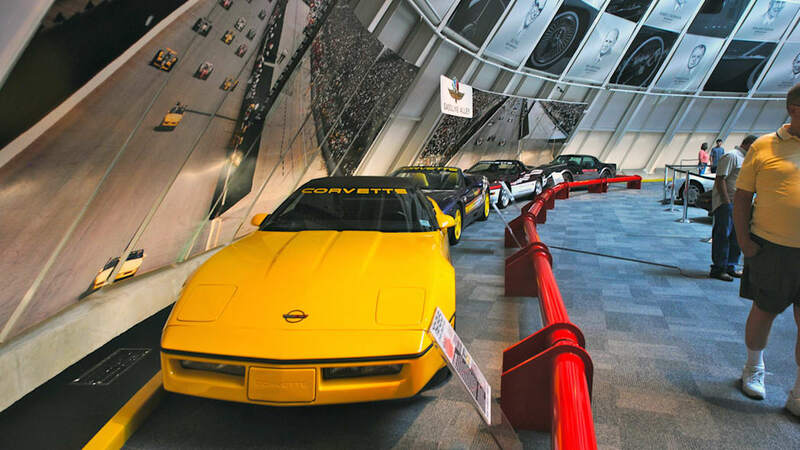 With more than 100,000 square feet, the National Corvette Museum was chock-full of every kind of 'Vette imaginable, spanning every year since the Corvette debuted in 1953. 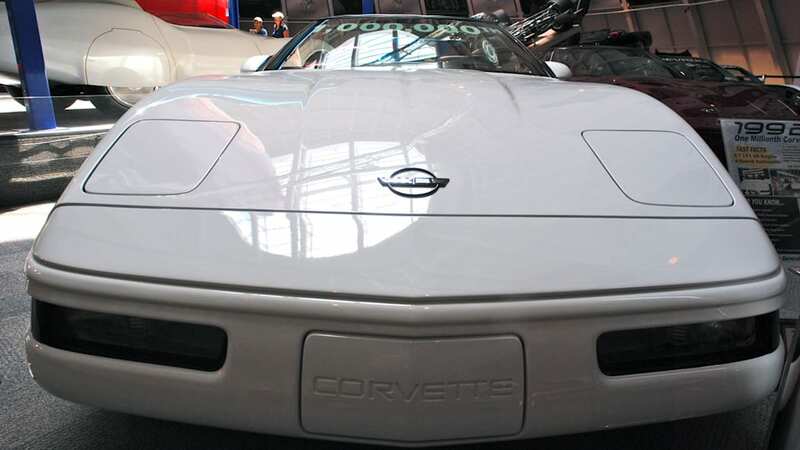 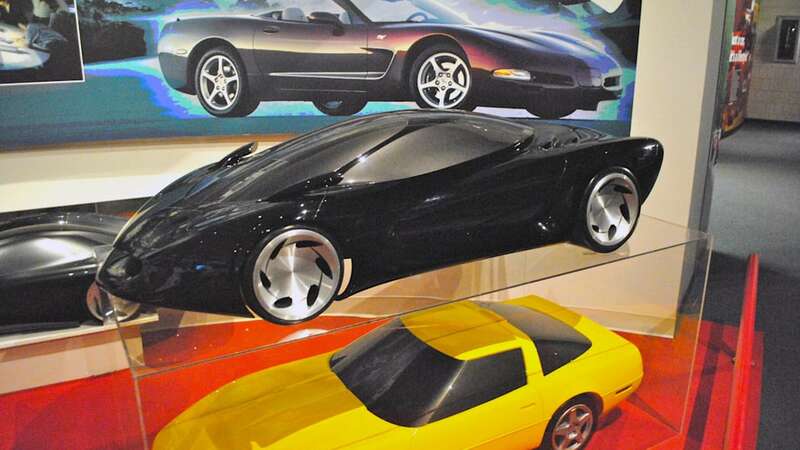 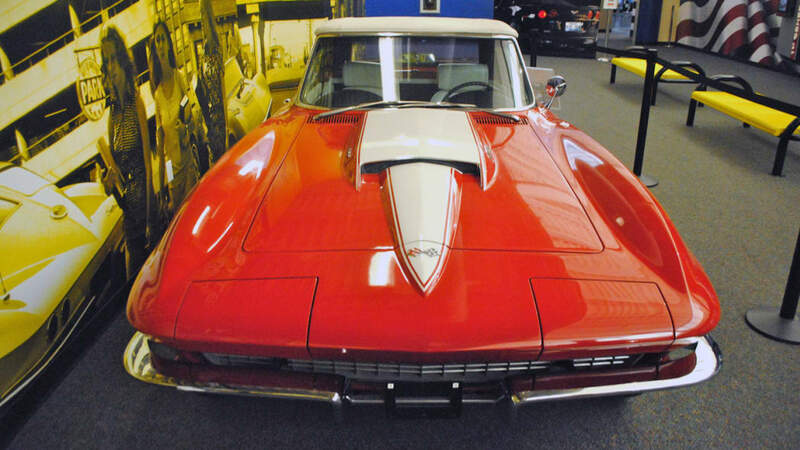 There were concept Corvettes, racing Corvettes and daily driver Corvettes once owned by the stars. 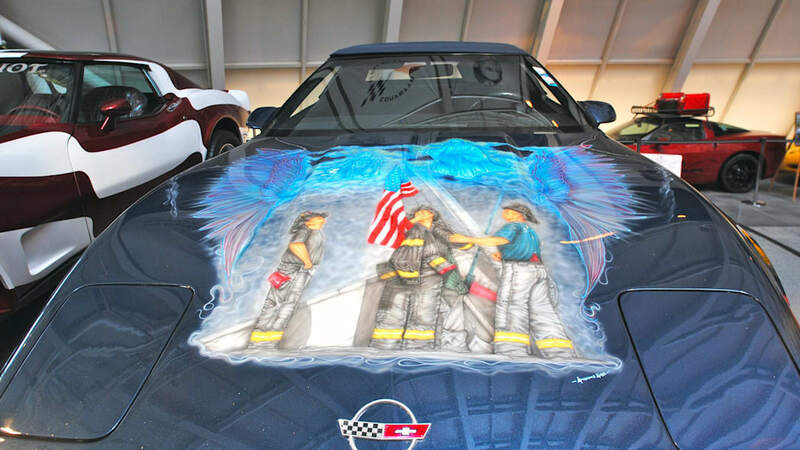 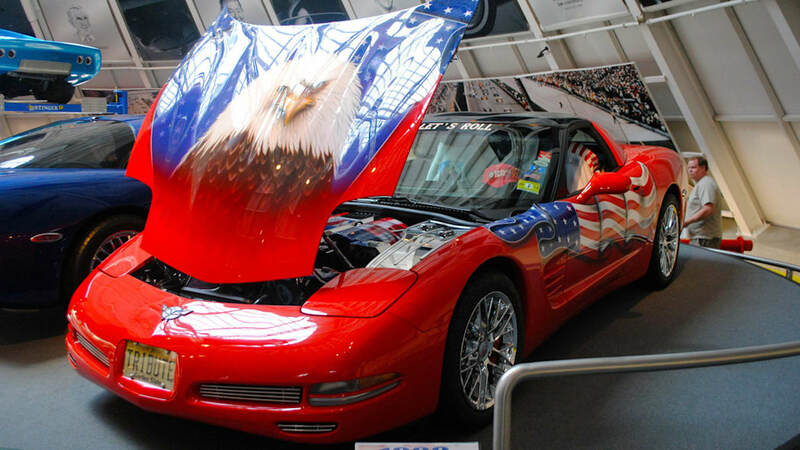 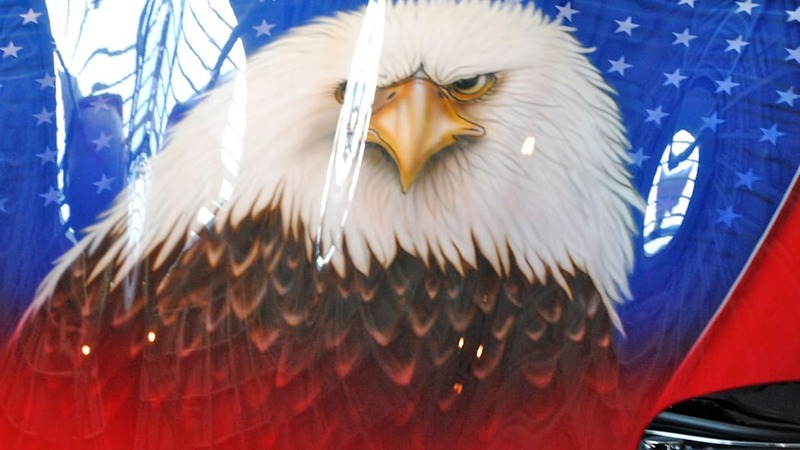 We weren't sure what to think of some of the paint jobs on these great cars, as the 9/11 'Vette seemed a little over the top, and the bald eagle on the hood of another car seemed to have a bad eye. 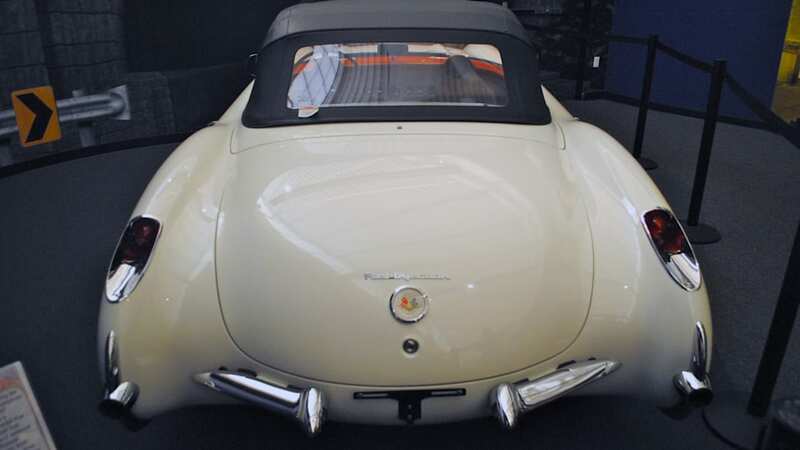 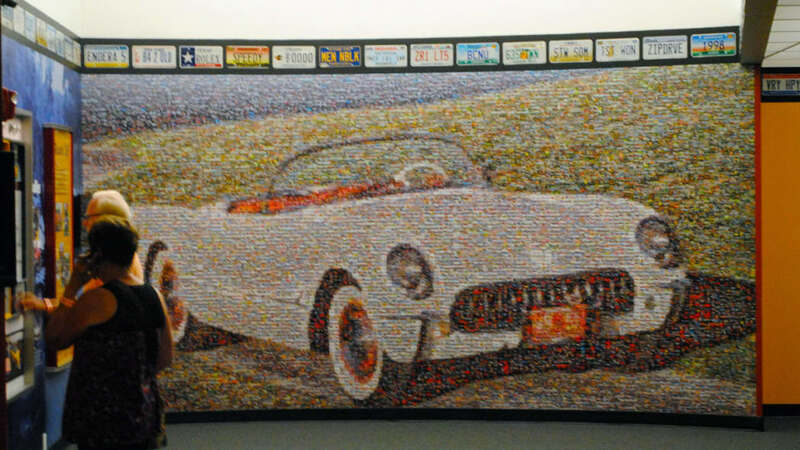 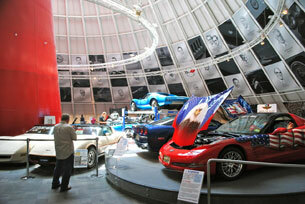 But, nonetheless, they were proudly parked in the domed room with both other cars on loan to the museum. 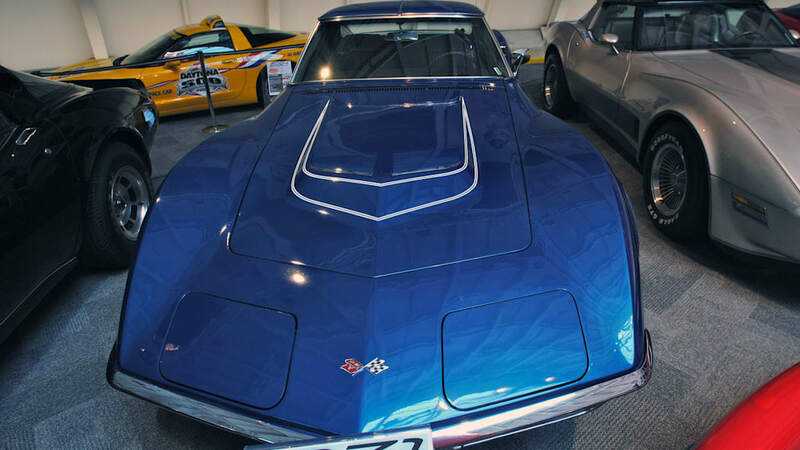 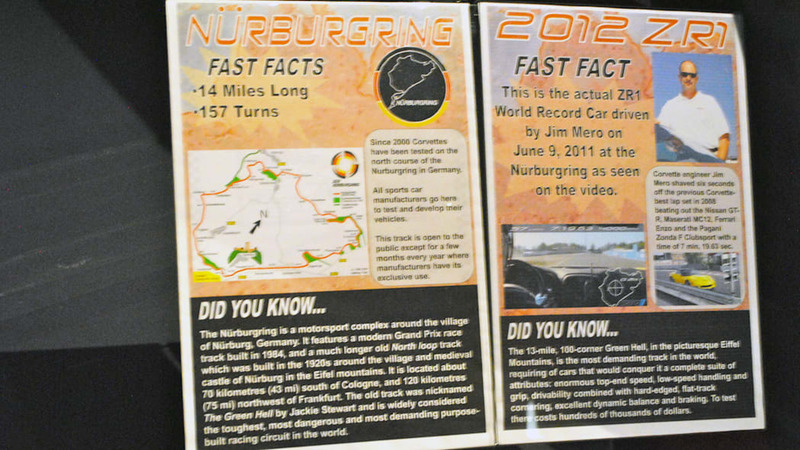 Throughout the display, there were lots of Corvette memorabilia and historical footnotes marking different stages of the car's life. 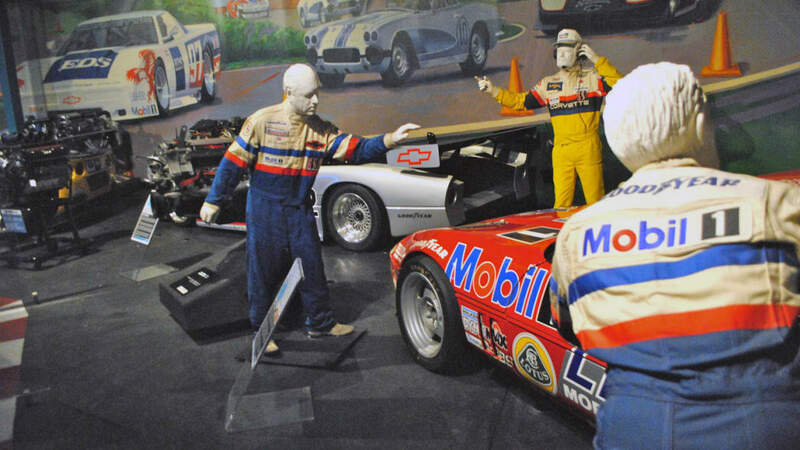 And of course, we appreciated that the gift shop included car care products. 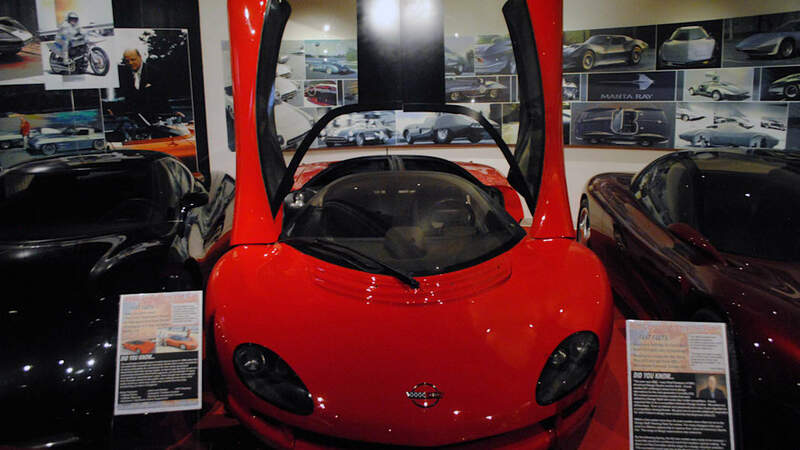 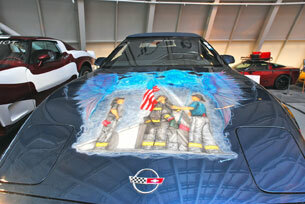 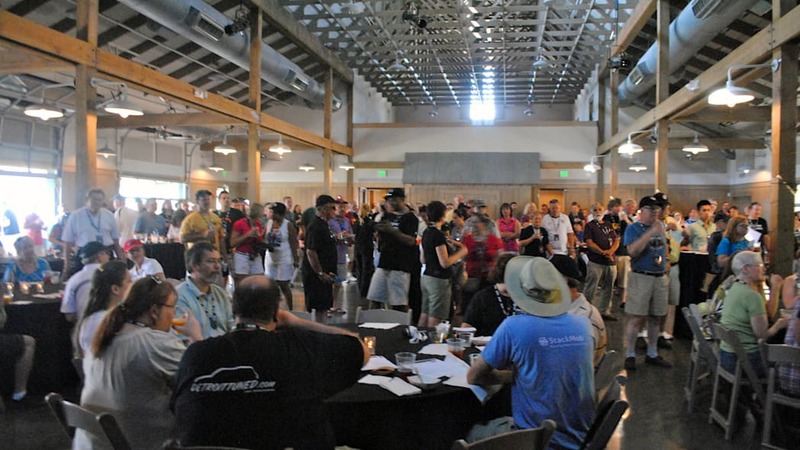 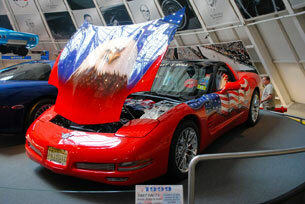 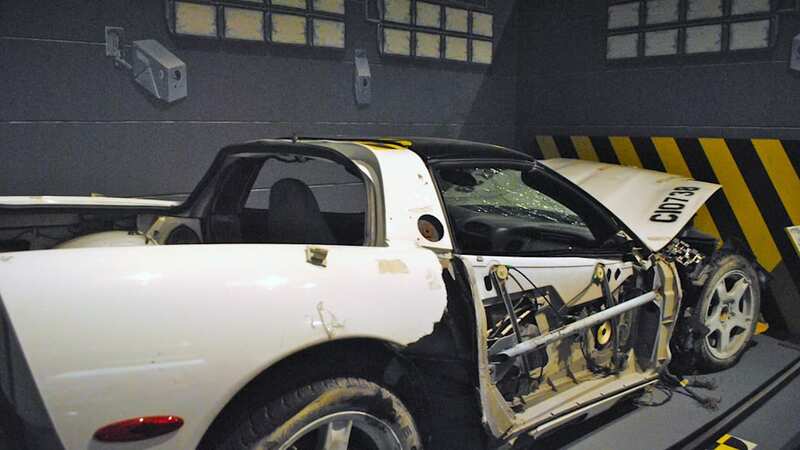 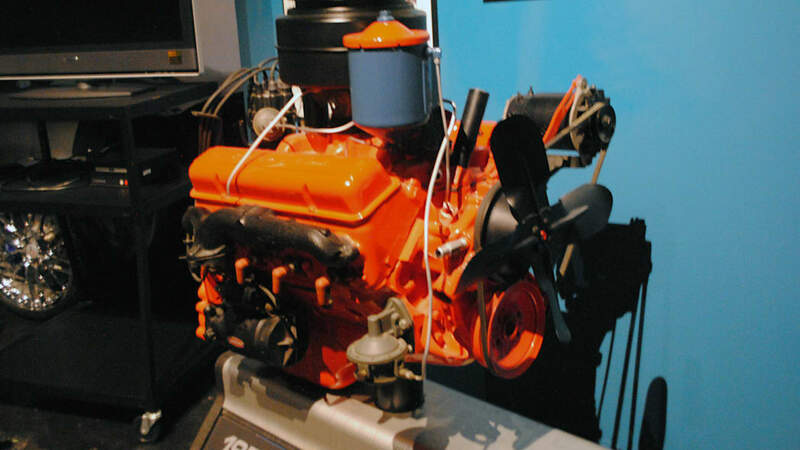 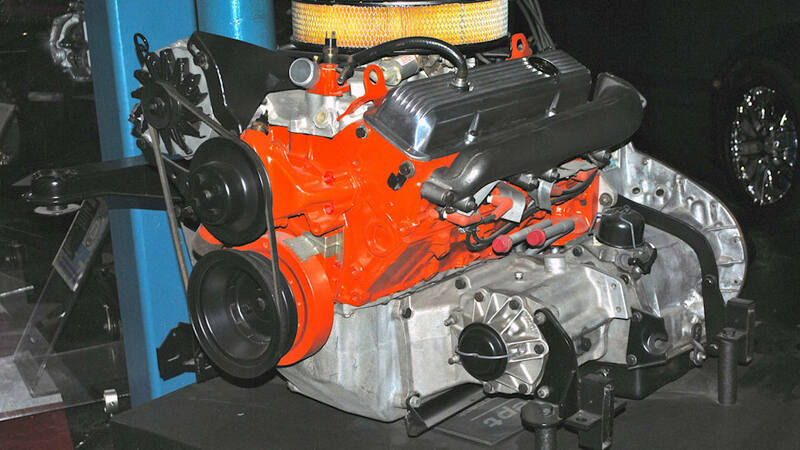 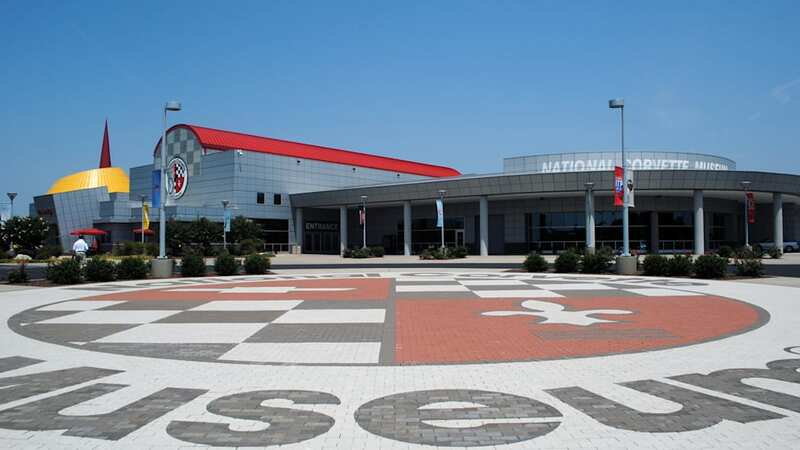 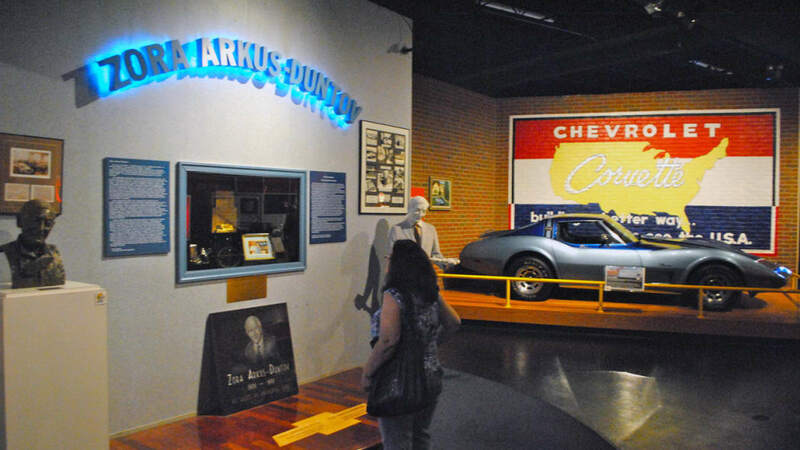 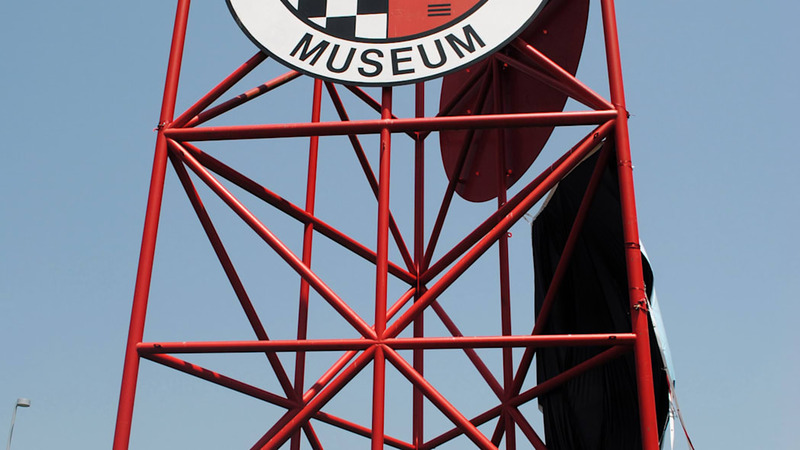 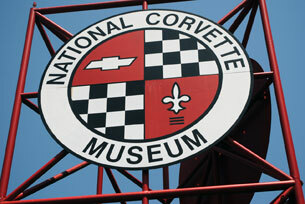 For more information on the National Corvette Museum, visit the official site.